Preparing for a new year in Washington, D.C. The 116th Congress kicked off Jan. 3, 2019, shaking up Congress with new elected officials taking office after their victories in the November midterm elections. The 2018 fall election results allowed the Republican Party to hold onto the majority in the Senate, but lose 40 seats and the majority in the House. The Democratic Party flipped over 40 House races and will now hold the majority. This is the first congressional session in President Donald J. Trump’s term in which there will be a split legislative branch. On the House side, Washington is welcoming more than 90 freshman members. It is the most racially diverse class of new House members, and also includes 18 veterans and 36 women. With fewer overall seats in the Senate, there also were fewer senate races. Republicans retained the majority and gained two seats with a total of 53, while Democrats lost two seats and will have 47. In the first quarter of 2019, Congress will finalize committee assignments, work on securing a solution to the partial government shutdown, begin work on legislative initiatives and focus on trade. An important task for elected representatives and senators is securing committee assignments. Committees determine what types of legislation the member will focus on, as most major bills are sent first to the committee with relevant jurisdiction. This gives the committee members’ positions more weight. Committee hearings also are key venues for members to draw attention to the issues they care about. Financial Services, Ways & Means, and Rules. In the Senate, there are 24 committees, with four “Super A” committees (Appropriations, Armed Services, Finance and Foreign Affairs). As a condition of being assigned to an exclusive or Super A committee, the member is restricted from serving on most other committees. These assignments are not permanent, but members accrue seniority for years served within a specific committee. When tracking drinking water legislation, the committee(s) to which a bill is assigned will decide whether the bill is put up for a vote to pass the House or Senate. The committee also can kill the bill by letting it sit in committee. Understanding member assignments can help educate members on important policies. Carried over from 2018, as of press time, addressing the partial government shutdown is an urgent issue for Congress. It began when the Dec. 21, 2018, deadline for funding a portion of the government was missed. While some agencies already have been fully funded (Health & Human Services, Veterans Affairs, Energy, Labor, Education, and Defense), others faced closure, including the U.S. EPA. For many federal employees, a shutdown means being furloughed, working without pay, some services coming to a halt and cutbacks. Congress will need to work with the White House on an agreement on spending or appropriations bills to end the shutdown. At the same time, the White House and the U.S. Trade Representatives Office (USTR) have announced upcoming trade discussions planned for the first quarter of 2019. The White House set a 90-day timetable for discussions, beginning on Dec. 1, 2018, to resolve the trade dispute with China. This puts the end of this 90-day period at March 1, 2019. Other trade deals to be discussed at the same time includes separate negotiations with Japan, the European Union and the U.K. The USTR held hearings on the upcoming negotiations in December 2018, so the U.S. could begin these talks in January. Congress also will need to review the new U.S.-Mexico-Canada Agreement. Trump has threatened to withdraw from the North American Free Trade Agreement if Congress does not approve the new agreement, and Canada and Mexico are still waiting on a resolution to the steel and aluminum tariffs. 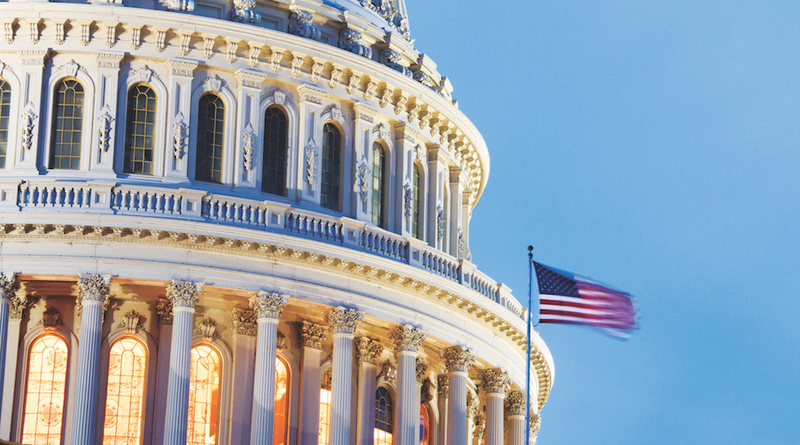 As the House and Senate begin introducing legislation and debate trade deals in the coming months, pay attention to which committees will handle the bills. In the House, with more than 400 members, narrowing the list of target offices to visit and educate on an issue down to about 15 to 50 committee members, depending on the committee, can be practical and effective. In addition, committees often will have their own website the public can visit to stay informed on the legislation being discussed.